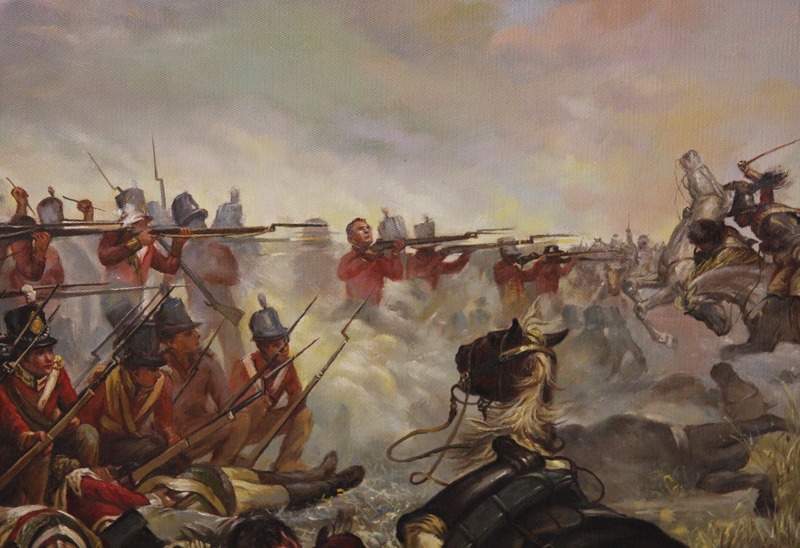 A specially commissioned oil painting on canvas by our principal artist Liu Yingjie, interpreting "The 28th Regiment at Quatre Bras" by Elizabeth Thompson. 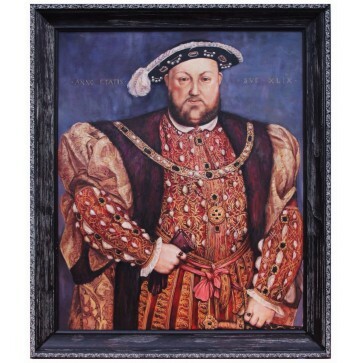 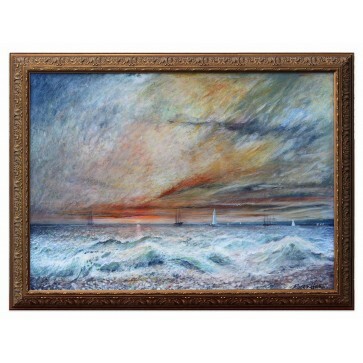 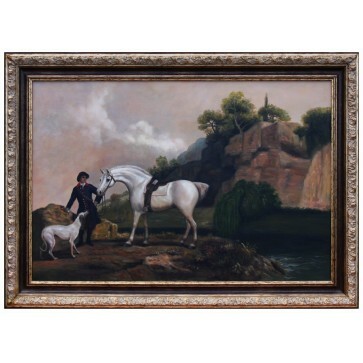 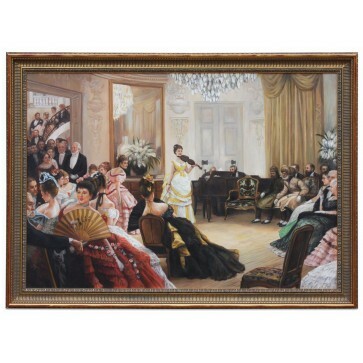 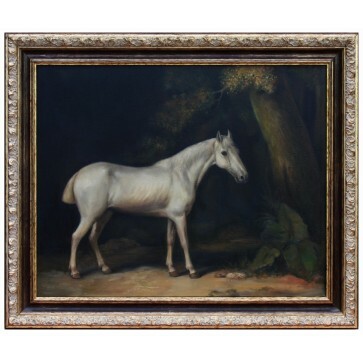 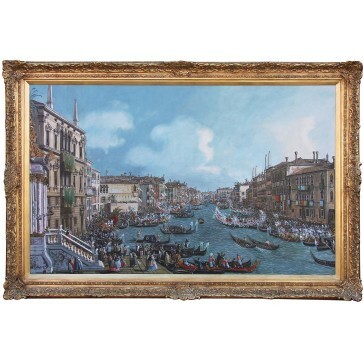 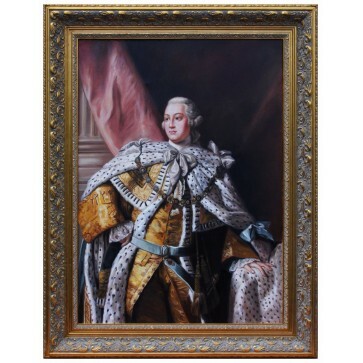 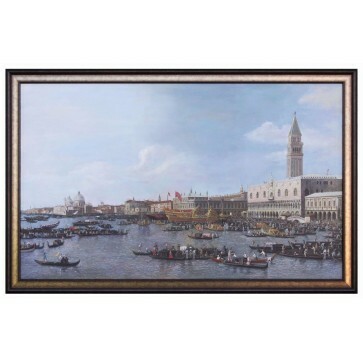 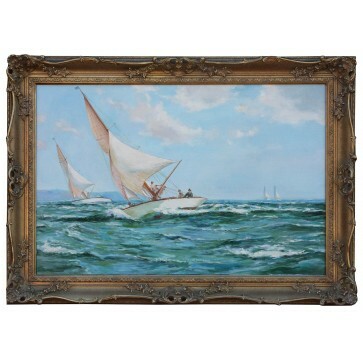 The painting is stretched and framed in England using a highly distressed Italian gold leaf moulding. 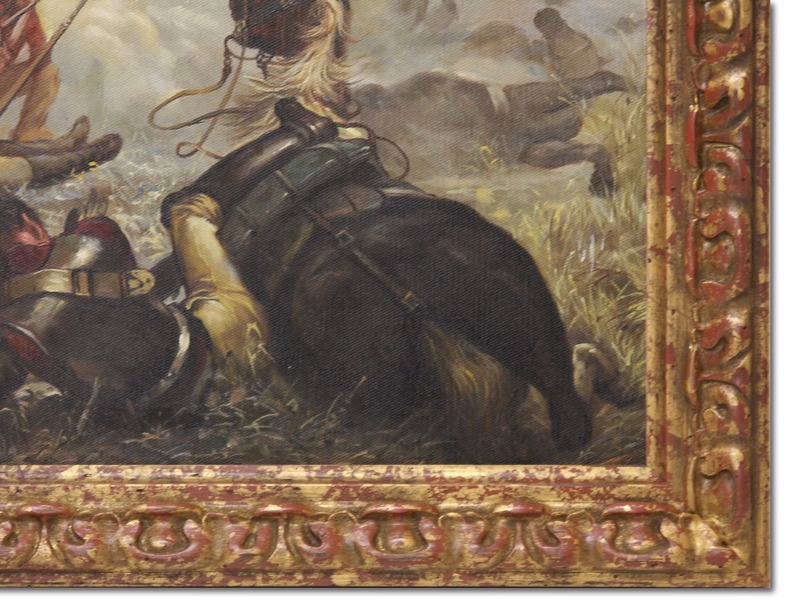 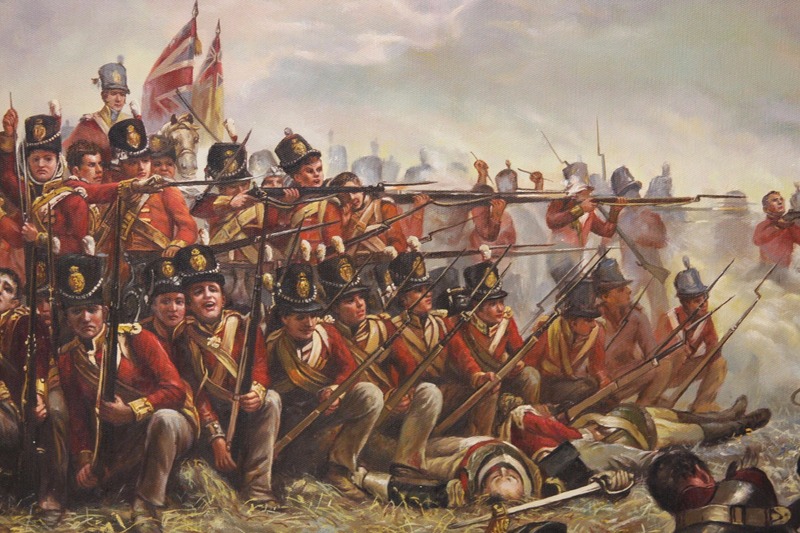 The original 28th Regiment at Quatre Bras was painted by Elizabeth Thompson in 1875, two years before her marriage to William Butler in 1877 when she became more widely known as Lady Butler. 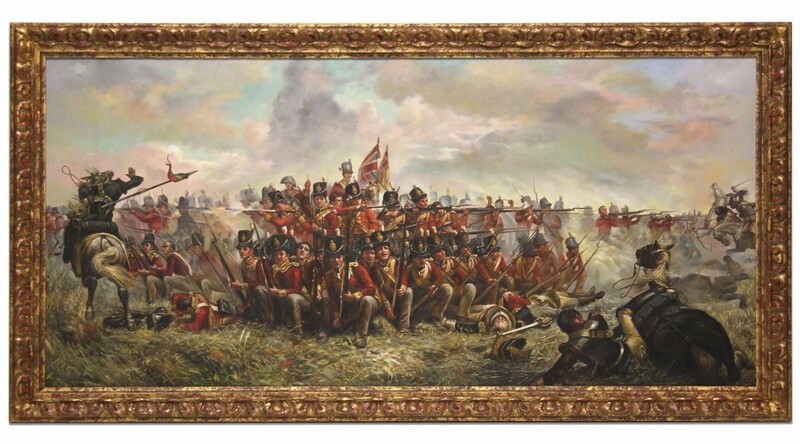 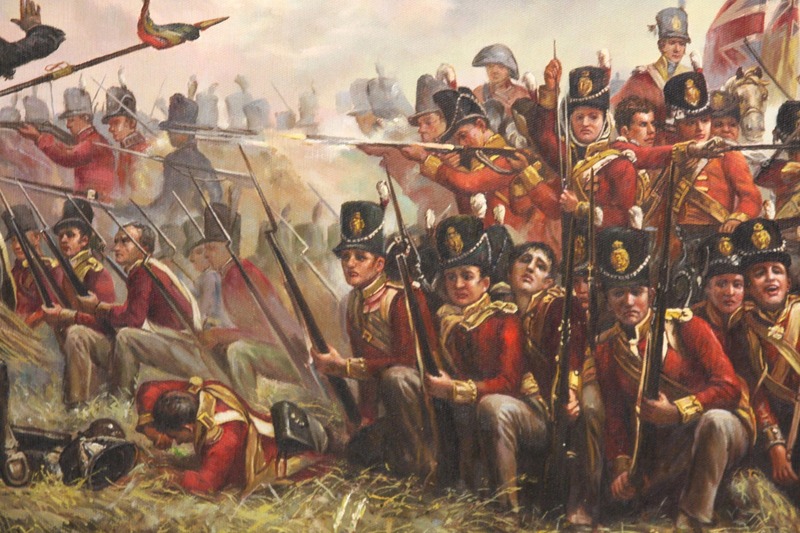 The painting depicts the 28th (North Gloucestershire) Regiment of Foot, of the British Army, at around 17:00 on 16th June 1815, holding off attacks from French cavalry at the Battle of Quatre Bras according to the account of Captain William Siborne. 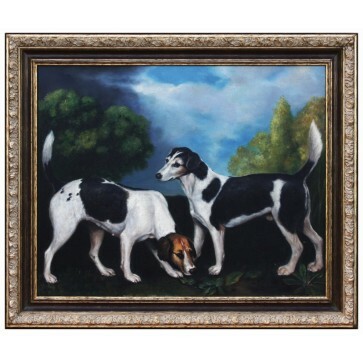 Thompson went to great lengths to create models for her work, including arranging for a group of children to trample down a field of rye in Henley-on-Thames to recreate the setting.